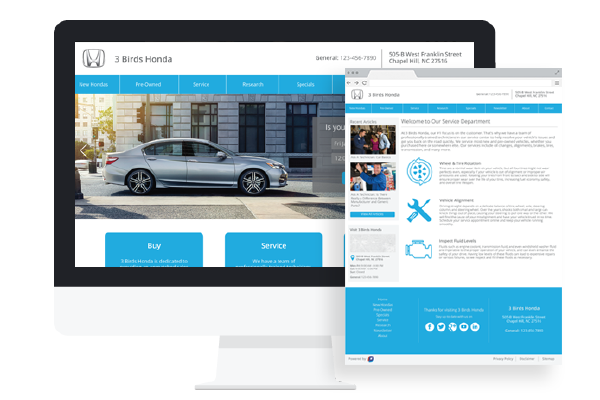 The 3 Birds Service Accelerator is a dynamic, data-driven service content and marketing ecosystem that goes above and beyond run-of-the-mill transactional service messaging programs. Timely messages to customers about upcoming service intervals and appointment reminders have value but they don’t go far enough anymore. Franchised dealers still get way less than their fair share of the massive parts and service spend each year and keeping customers coming back to the dealership for service remains a challenge. Today’s consumers are increasingly using digital channels to search for service-related information online and still incorrectly believe that servicing at the dealership is more expensive and less convenient than other alternatives. 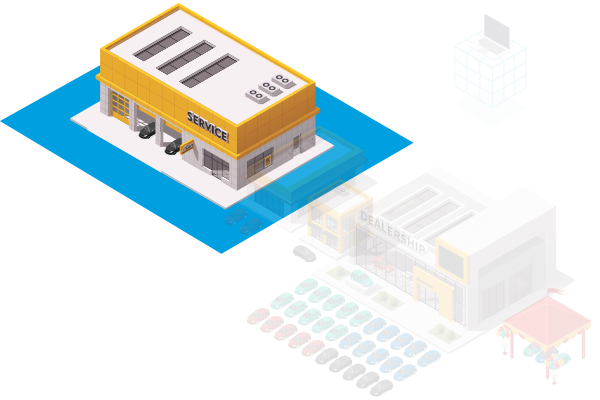 Most automobile dealers are simply not doing enough to provide customers with the type of service information they are seeking, dispel negative perceptions about dealership service departments, and to retain and recapture customers. This is where the 3 Birds Service Accelerator comes in. 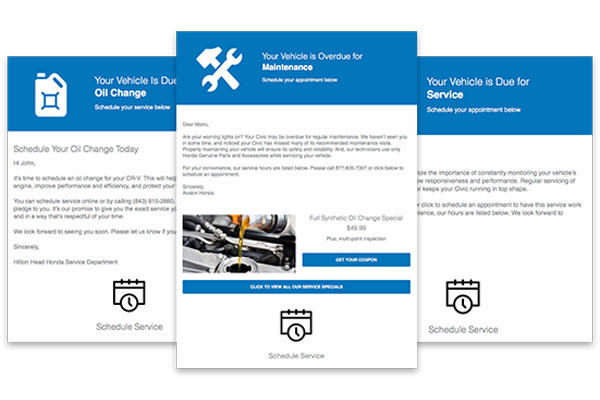 The Service Accelerator consists of responsive email communications delivered throughout each customer’s vehicle lifecycle including a monthly Temperature Gauge communication, a fully responsive web presence with quality service-related content, and conversion tools. The Service Accelerator is powered by our data mining and modeling tools to identify the right people to message and the areas of untapped opportunity found within every dealership’s database. 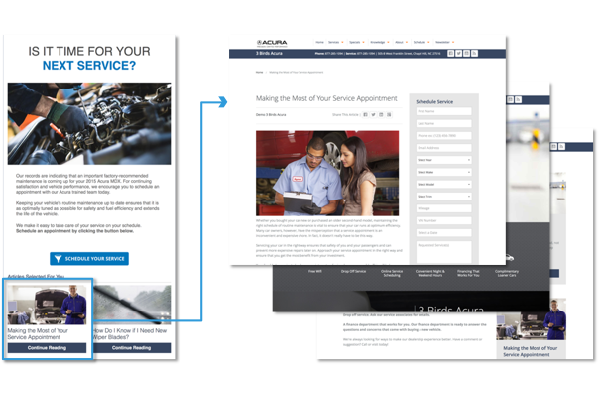 A mobile-ready, responsive monthly dealership email that publishes to a supporting website is the perfect way to collect interest and intent data while staying in front of customers from the time they purchase, throughout the service lifecycle, and up to the moment they’re ready to buy again. 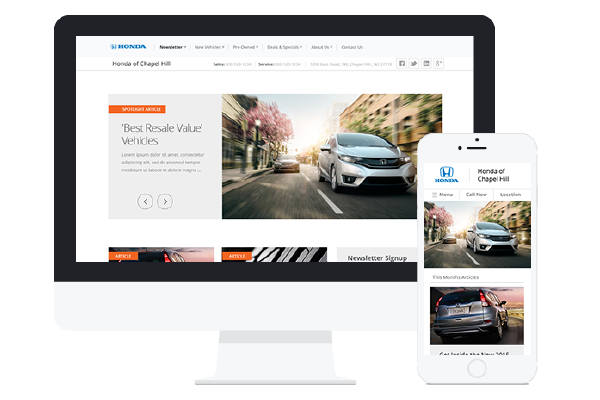 A comprehensive series of fully responsive communications sent throughout the entire vehicle lifecycle with supporting website content for increased transparency and consumer trust. The center of your service content and marketing ecosystem, the Service Website houses the quality service-related content consumers are searching for on a fully responsive site optimized for all devices.